One of my favourite movies is Memoirs of a Geisha though I only gave it a 3-star (out of 5) when I last read the book. 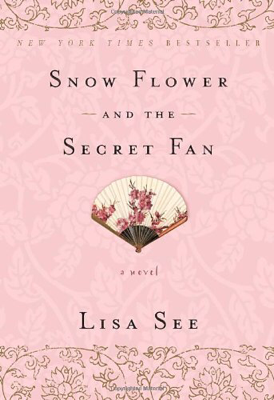 I wanted to look for a good novel along the same genre and so I opened up the Memoirs of a Geisha page in Amazon and scrolled through the list of "Customers Who Bought This Item Also Bought" and found this book: Snow Flower and the Secret Fan, by Lisa See. I finished it in one day today, with it being an off-day from work. The book is good. The story is about 80-year old Lily who wrote about her life right from when she was five, growing up in remote 19th-century China, in the Hunan province. She was matched with another girl, of the same age, to become a lifetime friend, a laotong, or literally "old same". "A laotong match is as significant as a good marriage," Lily's aunt had explained. "A laotong relationship is made by choice for the purpose of emotional companionship and eternal fidelity. A marriage is not made by choice and has only one purpose – to have sons." Snow Flower and the Secret Fan is the story of such a friendship. I find it very interesting to learn about the life of girls, how they grew up and lived as women. It was fascinating to know a bit about the life in China when women had their feet bound. Small bound feet were seen by them to be of exquisite beauty. I think it is an awful practice but it was the culture and life back then in China. I did begin to imagine how it would be for me had I been born in China then. The other interesting thing I learnt was about nu shu, or literally "women's script". It was regarded as women's secret writing...men’s writing is bold, with each character easily contained within a square, while our nu shu looks like mosquito legs or bird prints in dust. Unlike men’s writing, a nu shu character does not represent a specific word. Rather, our characters are phonetic in nature. As a result, one character can represent every spoken word with that same sound. So while a character might make a sound that creates the words for “pare,” “pair,” or “pear,” context usually makes the meaning clear. Still, much care has to be taken to make sure we do not misinterpret meaning. I was glued to the book the whole day until I finished it this evening. Postscript 25 Sept 2016: I watched the movie several days ago. Verdict? Again the book is way, way, way better than the movie. I agree with Roger Ebert that the movie is way too sappy. And most of the important parts of the stories, like the development of their relationships, the exchange of letters in nu shu, the many evening gatherings of the women of the house, the development of supporting characters, which from pillars of the stories, were missing. But what was interesting was the inclusion on an additional modern story of the two women's offsprings not featured at all in the book.